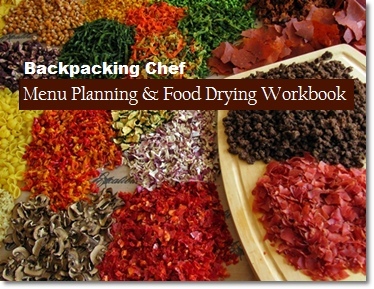 Welcome to BackpackingChef. I hope you're hungry, because you're going to learn all about making your own backpacking food. Forget the expensive freeze dried meals that require a magnifying glass to find the vegetables. Go for healthy, hearty meals you can make at home before you head to the woods. Imagine sitting by a peaceful campfire after a beautiful hike in the forest. Wouldn't it be nice to savor the last moments of the day with a pot of homemade shrimp linguine? When I started backpacking on the Appalachian Trail several years ago, I developed a complete menu of healthy backpacking recipes. 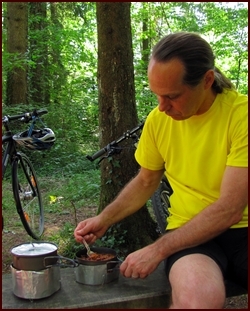 In addition to tasting great, the meals packed light, kept well, and were easy to cook on the trail. 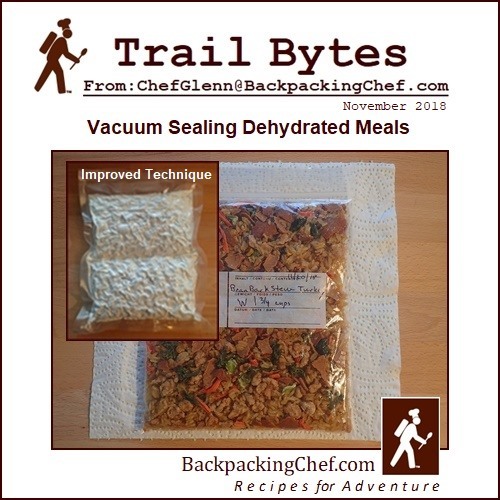 Now I am pleased to show how you, too, can make your own backpacking meals: how to dehydrate food, pack it safely, and cook it. Soon your trail meals will include risotto, ratatouille, and pumpkin pie. Navigation: The main topics are listed down the left-hand column. These provide a lot of information and serve as mini table of contents to many more pages of recipes and techniques. At the bottom of every page are a few navigational choices so you can continue on to the next recipe or go back to the table of contents for the topic you are reading. I've also listed and linked to the main topics below with a brief introduction. Breakfast, lunch, supper and dessert. Learn how to combine starches, meats and vegetables into a great variety of delicious backpacking meals. 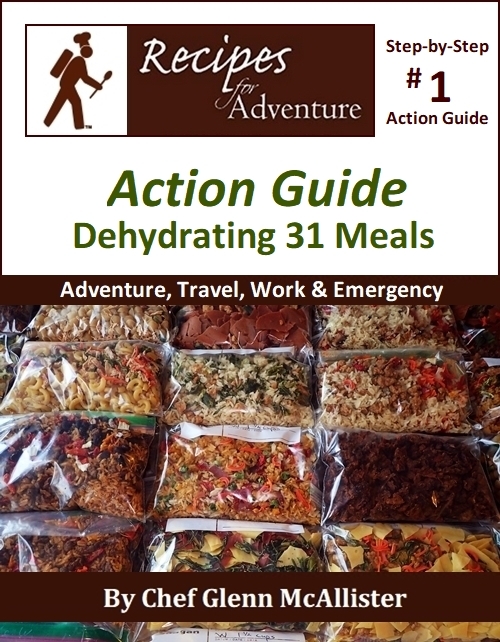 I include photos of every recipe, exact quantities for each ingredient, packing instructions and how to rehydrate and prepare the meals on the trail with minimal effort and fuel. Dehydrating food substantially reduces pack weight and preserves the food. 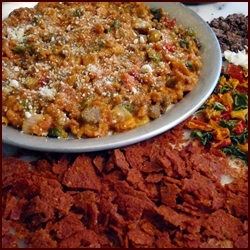 Dehydrate vegetables, meat, beans, fruit, sauces and starches. Learn how to make bark, the secret sauce in several of the recipes. I make bark by blending flavorful ingredients with starchy foods like potatoes, corn, beans and pumpkin. The longer the trip, the better it is to keep backpacking food well-organized and air and water tight so that it keeps well. I pack my food into daily rations which I vacuum seal. Breakfast, lunch, supper, dessert and snacks all go into one vacuum sealed bag. 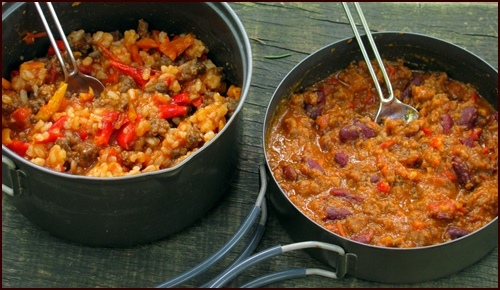 Just about any backpacking pot and stove will work to heat and rehydrate the meals. With dehydrated meals, there’s no need to rush the boil with a high-powered stove. All you need to do is reach a boil and hold it for a minute or two. 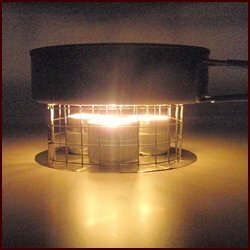 I’ll show you how to cook efficiently with the simplest of alcohol stoves and also heat up sides and desserts with three tea light candles. If you like what you find on the website, you will love my cookbook, Recipes for Adventure. 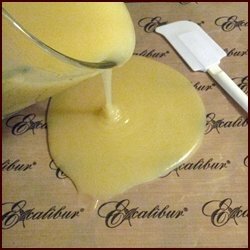 It covers everything from the website plus more recipes and dehydrating techniques. Nicely formatted with hundreds of photos, it is available as a PDF download for computer viewing or as a full-color printed edition. 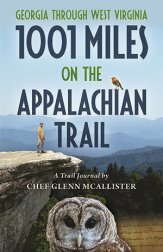 Amazon Review: "My girlfriend and I used tips and recipes in this book to feed ourselves two meals each day as we hiked the Appalachian Trail for five months in 2015. The book was very helpful and our meals were envied by most other hikers we encountered. 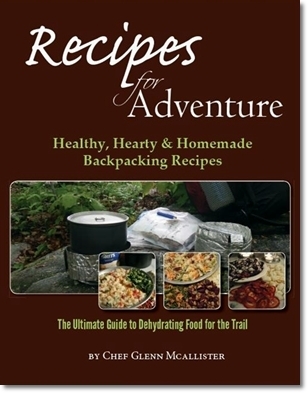 We met several other hikers who also used this book and dehydrated all of their meals for the AT. Use the workbook to plan your menus and estimate how much food to purchase and dry. It's a great tool to go with Recipes for Adventure. Only $2.95 when purchased with the cookbook. 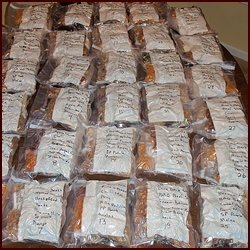 A Step-by-step Action Guide to put together 31 dehydrated meals. Includes the shopping list, drying instructions, meal assembly, cooking directions, and packing. "When you keep a supply of dehydrated meals on hand – for adventure, work, and travel – you’re automatically prepared for emergencies." Join me on an Appalachian Trail adventure from Georgia through West Virginia. The journal covers 1001 miles of rugged footpath, inspirational mountaintops, and unbounded nature. Receive one article per month with new recipes and dehydrating tips. I'll send you a new article each month about backpacking food, dehydrating techniques, and what's cooking on the trail. Contact: If you have questions or comments after exploring the website, feel free to contact me.